The longest dachshund in the world, Pretzel is admired by all and the winner of a blue ribbon at the dog show. Only Greta, the little dachshund across the street, doesn't care for long dogs. At least not until she gets into a jam out of which only a long dog can help her. 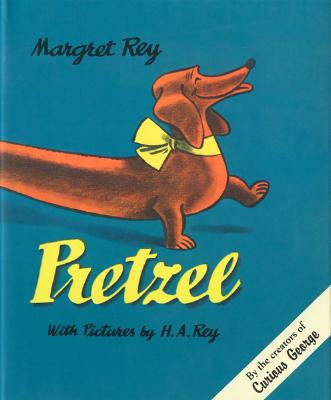 This classic story of puppy love will win the hearts of both old and new Pretzel fans.